In a bowl combine the honey, wine and tarragon and set aside. Preheat the oven to 375. 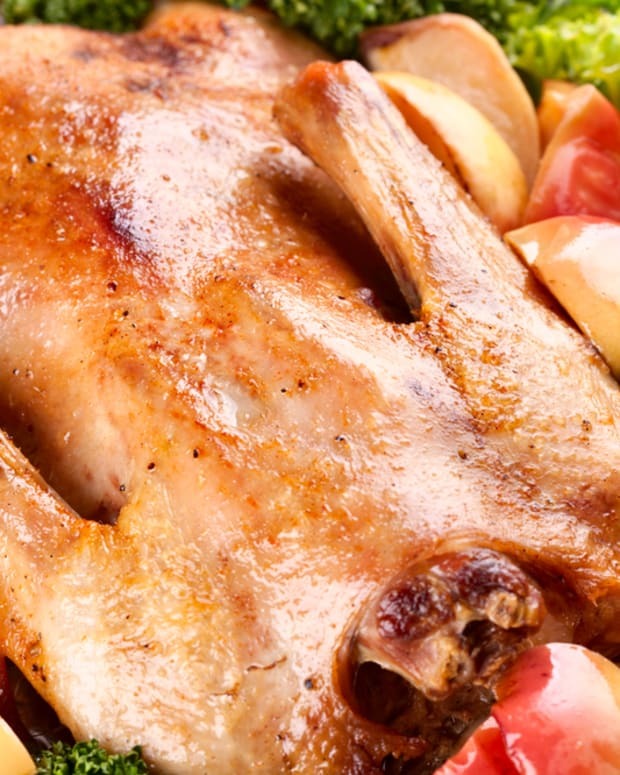 Place the duck on a clean chopping board and remove any excess fat from the neck and body cavities. Rinse the duck thoroughly, inside and out, under a cold running tap and pat dry with a paper towel. 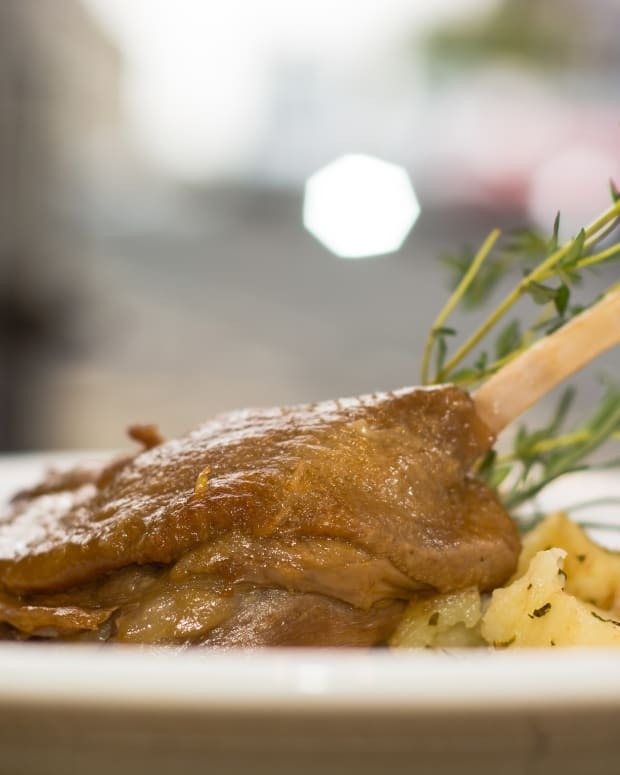 Pierce the skin of the duck all over with a tooth pick or knife, at 1 inch intervals. Rub salt and pepper into the skin of the duck, inside as well as outside. Position the duck on a rack placed in a roasting tray, breast side up. 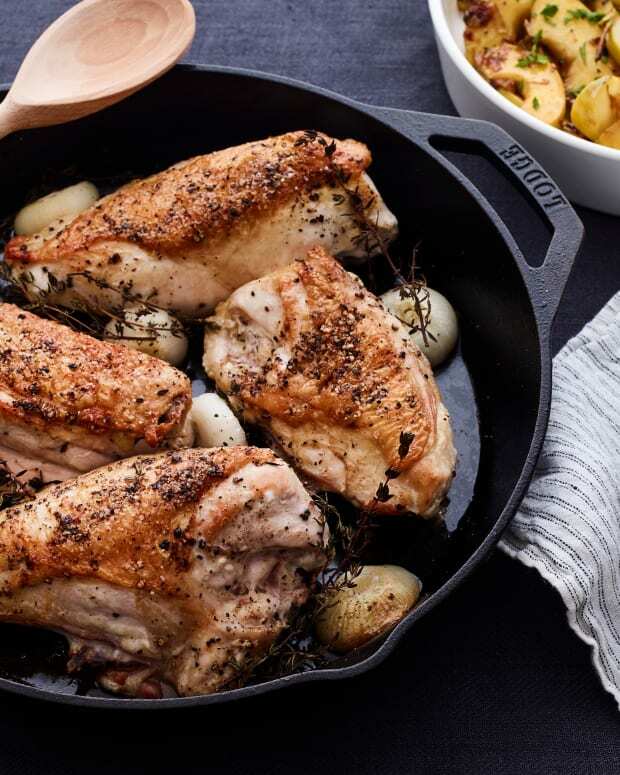 Pour a few cups of boiling water over the duck and into the roasting tray and place into the preheated oven. 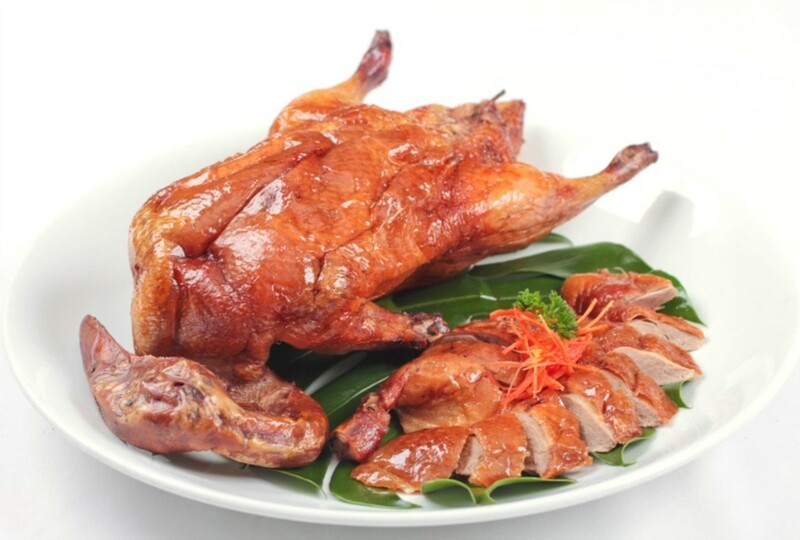 Roast the duck for up to 3 hours or until no fat remains and the skin is crispy and brown, turning the duck over after every 30 minutes. 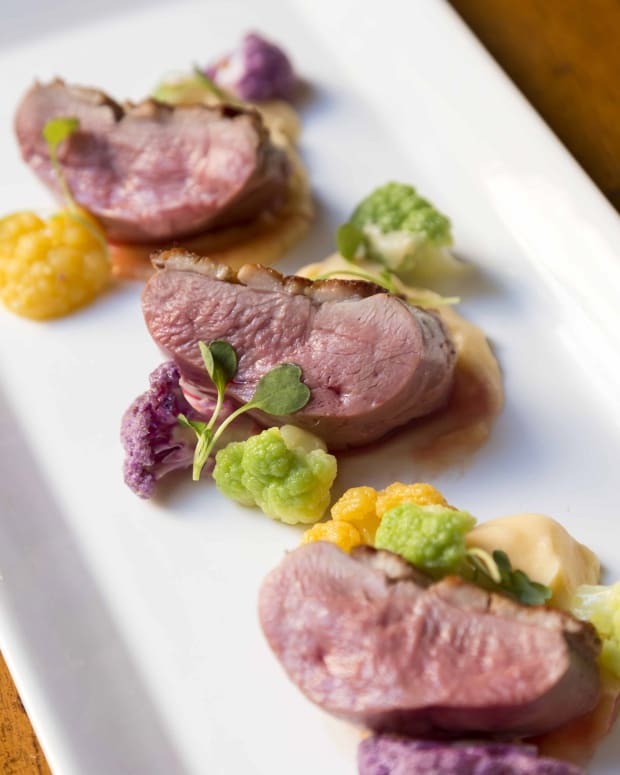 Baste the duck with the juices and honey. 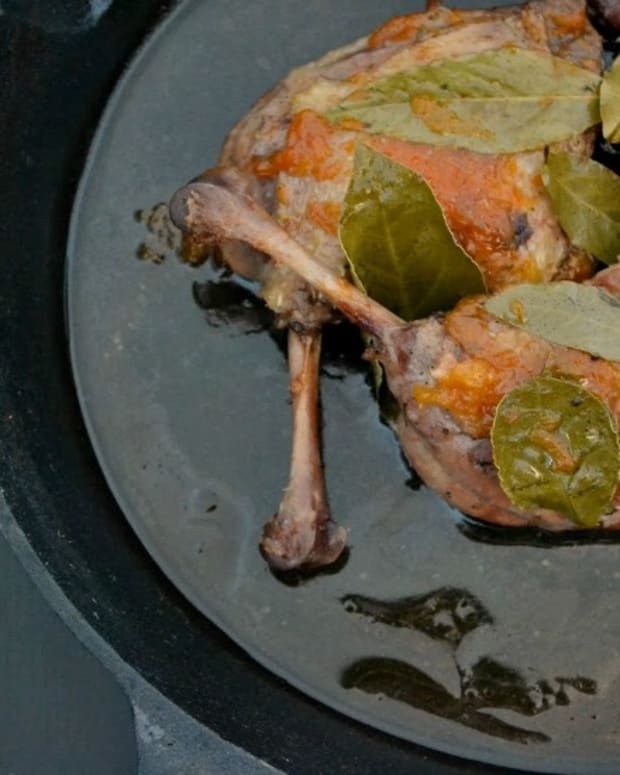 Once the duck is cooked, remove it from the oven and transfer it onto a carving board. Let it rest for 15 minutes before carving and serving.